Ladybugs, also known as ladybirds, are very pretty with their bold black spots against the red of their shiny round shells. 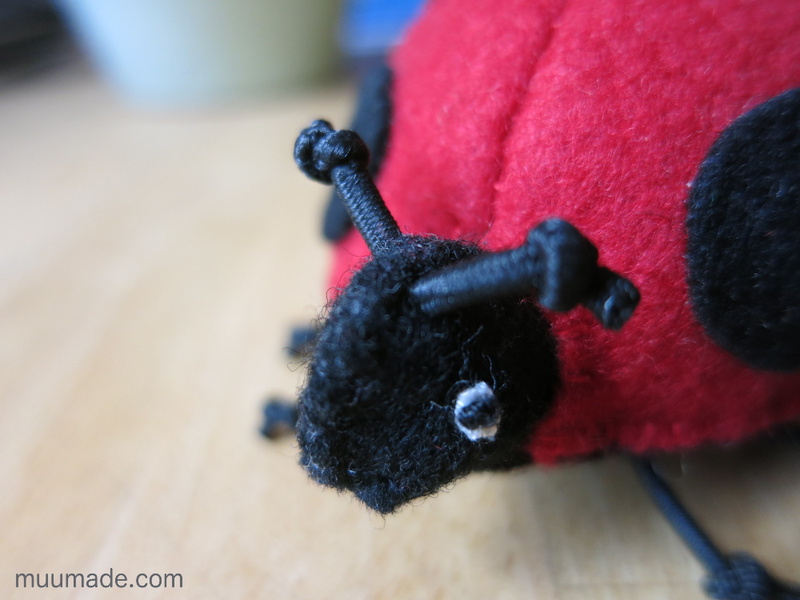 So I designed The Lucky Ladybug to be a charming ornament, to brighten up the corner of someone’s desk or shelf. 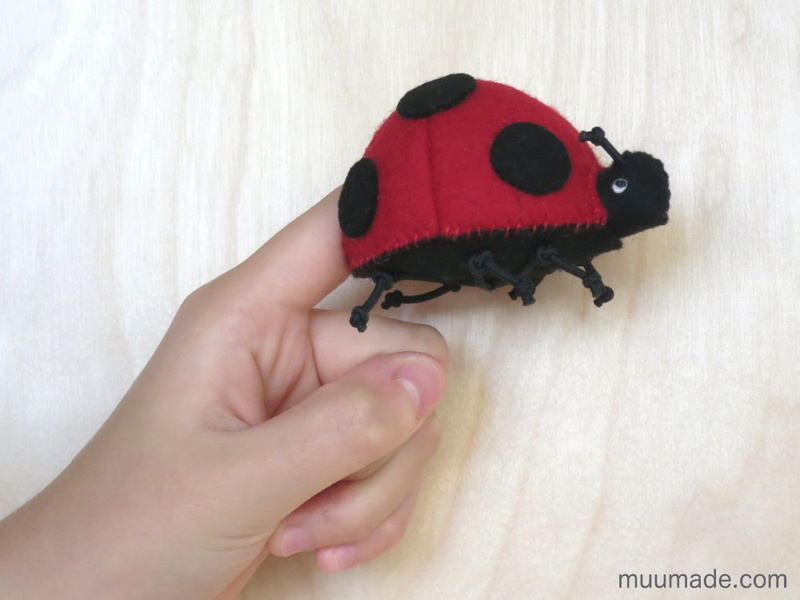 But The Lucky Ladybug also becomes a playful finger puppet as soon as someone slips it onto their index finger. Then, it is ready to take up a role in any fun puppet show! By the way, did you know that ladybugs are not only pretty but also very helpful? Ladybugs eat small bugs that damage vegetable plants. 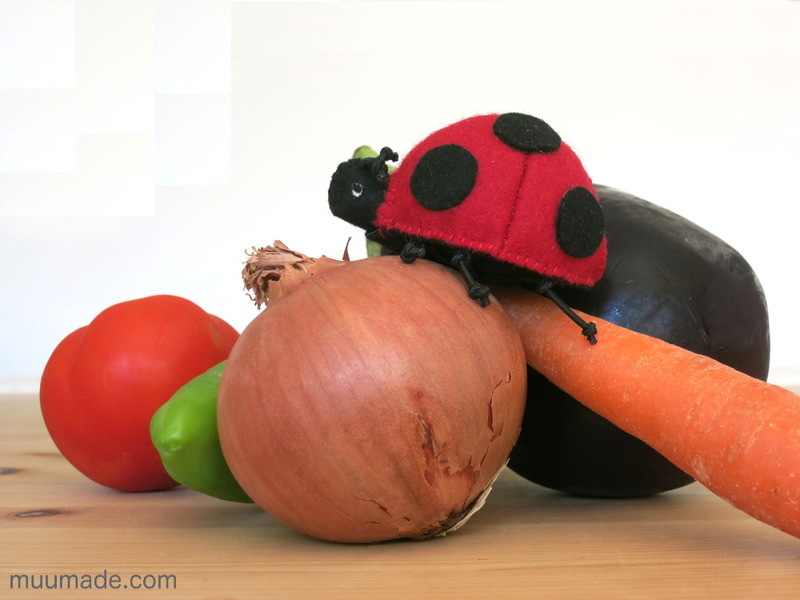 That is why I love it when I find a ladybug in my vegetable garden! Here is a link with more information about the ladybug’s important role as a beneficial predator, along with other fascinating facts about these beetles. The Lucky Ladybug Sewing Pattern includes a tutorial with step-by-step color photos to lead you through this beginner friendly hand-sewing project. This download item us available from my online shop, muumade.etsy.com. You can also click on any photo above to go to the item page and download the instructions instantly upon purchase.